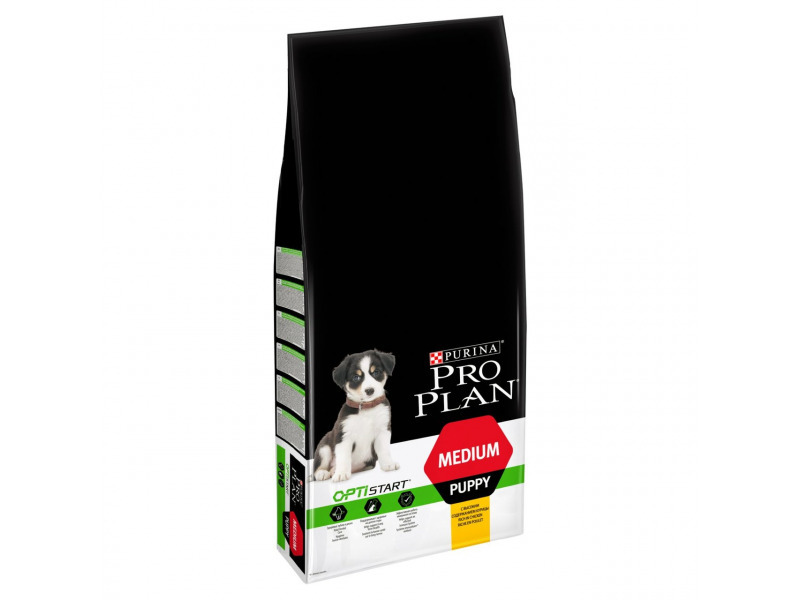 PURINA® PRO PLAN® DOG Medium Puppy with OPTISTART® is designed for medium-sized puppies, but it is also suitable for gestating or lactating mothers. It contains all the nutrients puppies need to help them grow into a healthy, happy adult.Rich in chicken and specially formulated by PURINA® expert vets and nutritionists, this dry puppy food provides complete nutrition at every meal. Our recipe contains OPTISTART®, which helps support their natural defences with a blend of essential nutrients. 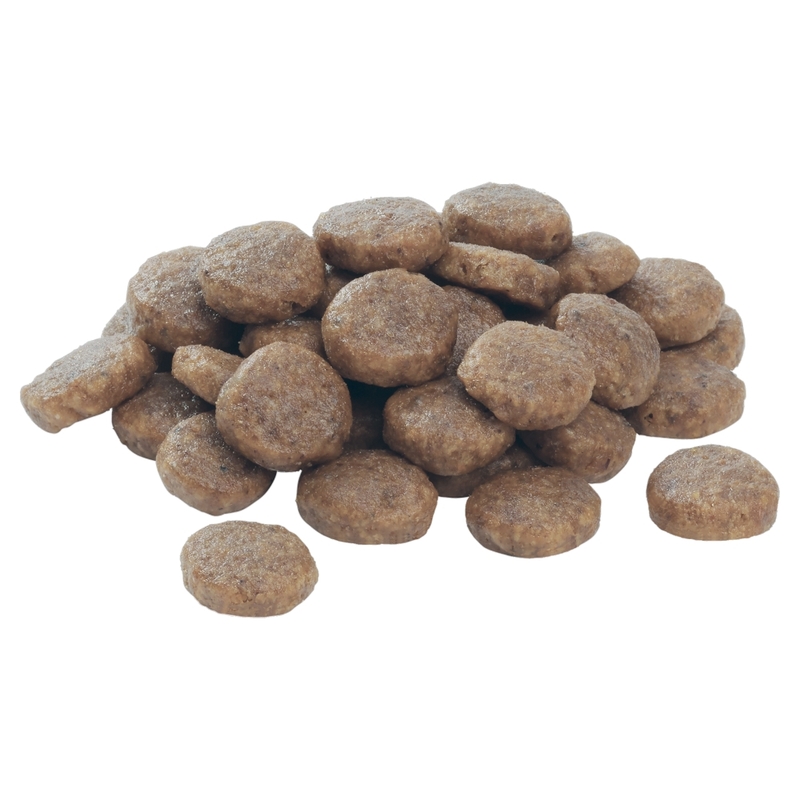 This complete dry puppy food has been specially formulated for dental care; it also helps support long-term health, joint health, and enables puppies' developing immune systems to react efficiently.PURINA® PRO PLAN® DOG Medium Puppy with OPTISTART® also contains colostrum, found in mother's first milk. Made with high quality chicken, this complete puppy food will help support them all the way to adulthood. The following table shows the daily feeding recommendation (grams per day). Feeding Guide: Pregnancy & lactation: please see the Purina PRO PLAN® web site or ask your veterinary surgeon for more details. Weaning and growth: During weaning from 3 to 6 weeks of age offer moistened PURINA® PRO PLAN® Puppy 3 to 4 times per day. After weaning, feed according to the recommendation table. From 3 months gradually reduce the amount of added water. For healthy development ensure your puppy maintains a lean body condition during growth. Adjust the daily amounts up or down according to your puppy's activity level, physical condition and individual needs. Clean, fresh drinking water should always be available. To monitor your dog's health, consult a veterinary surgeon regularly. There are currently no questions for Purina Pro Plan Medium Puppy with OPTISTART Chicken Puppy Food - be the first to ask one!